At the beginning of this book, I honestly wasn't sure what to think. The opening line of the story grabbed me, but then I had a hard time keeping the story lines straight as the characters weaved in and out. 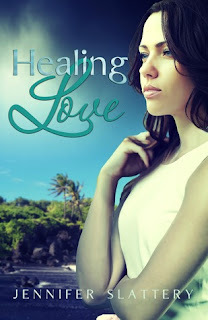 Once I was able to connect the dots, this book was emotionally gripping, the pages were turning and "Healing Love" was fantastic. The best way to describe the writing is a story that is beautifully told by an author who has a heart for Kingdom business, which shines through in her writing. Slattery tells a story of a woman, Brooke who isn't sure the plans that God has for her life, but learns to lean in and follow his calling, which may lead her to Guatemala or it may lead her back to the United States for her career in the Television industry. Regardless of how the story ends, which there are no spoilers here, you will find emotion, love and wrestle with some of the very same questions yourself as the reader. This book was very enjoyable and if you have never read a book by Jennifer Slattery, I highly recommend that you do! I give this book 5/5 stars. A favorable review was not required and the author provided a copy. 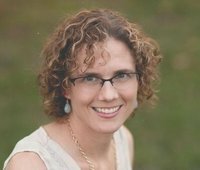 Jennifer Slattery writes missional romance novels for New Hope Publishers. Her debut, "Beyond I Do", releases in August. She also writes Christian Living articles for Crosswalk.com and devotions for her personal blog, JenniferSlatteryLivesOutLoud; Internet Cafe Devotions; and Takin' it to the Streets', a ministry serving Omaha Metro's working poor and homeless.